Educating the public on social etiquette can be a very tricky thing to do. Preach too much and you can be labelled as boring (who likes to listen to long speeches peppered with words of advice, anyway?). Do a little less and risk getting accused of simply not caring enough. This is why Rapid KL came up with an ingenious way to get their message across to the public, while trying to stay away from the norms of talks and lectures to do so. 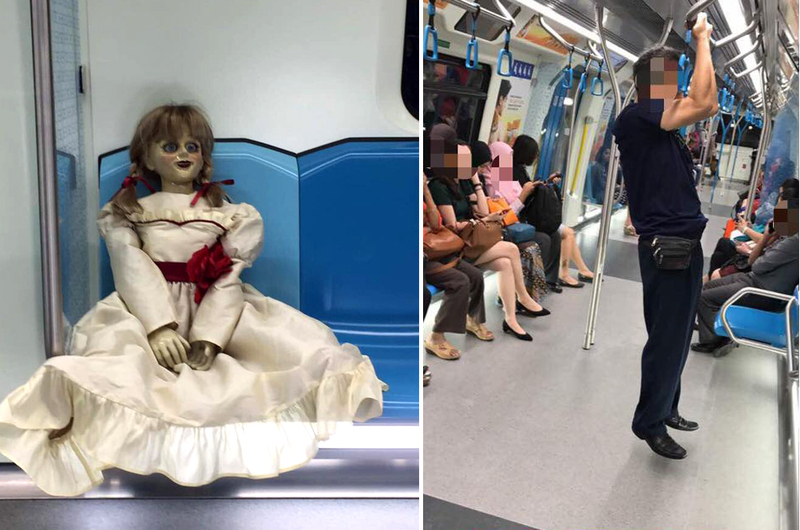 The public transport company has utilised its social media platform to come up with catchy posts and witty comments, especially after the recently launched MRT-SBK Line was plagued by incidents of vandalism since it opened to the public. They shared pixelated images of people engaging in acts that is prohibited in public transport like the LRT and MRT. The posts, which range from hilarious to spooky, are certainly getting the desired feedback from the public. To top it all of, the company also came up with a special mobile number (010-766 4472) for commuters to share images and feedback of their travel experience and encounters while taking the LRT, MRT, and monorail services. 1. Rapid KL's social media, especially your Facebook page, is gaining a lot of attention from the public now. Why the sudden change in your approach in social media? Our social media is going through an evolution, from creating presence, to engagement and now being strategic. Being strategic means having the best content with the highest impact to suit our customers. 2. Is it working? How much traffic have you gotten since the new approach was introduced? Well, we would like to think so as the figure says it all. On that Annabelle post alone, we have recorded close to three million post reach. On the other hand, from August 30 to August 1, our engagements have increased from 10,000 to close to 70,000. 3. Why publicly share photos of people engaging in misconduct? The faces of people in the photos were pixelated prior to our posting. It was never our intention to name and shame anyone. We shared photos of unpleasant behaviours on-board the public transport as a new avenue to reach out to and educate the public on the do's and dont’s when using public transport or public amenities. We are glad that the posts have been well received and strongly supported by members of the public. 4. Where do you obtain the photos showing people engaging in prohibited acts in LRT or MRT? Some from our commuters who are just good Samaritans onboard. 5. Who are the faces behind the much-loved Rapid KL Facebook admins? Are they specially hired in line with the new social media approach? All our Social Media Admins are in-house talents. 6. There was a new mobile number that was introduced recently for Rapid KL commuters. Tell us more about it. It is an additional avenue for our customers to share their travel experiences and observations with us. Unlike Twitter and Facebook which is used as channels to promptly attend to customers’ inquiries on our rail and bus services, the new number will be utilised more as an avenue to gather visual feedback. 7. What’s with the Annabelle trick that got everyone spooked? That was just a spur of the moment idea. What we practice here in our team, if you are different, stay different. That's when you get the best (or even witty) ideas! Remaja 17 Tahun Sado Habis!